Please note that the mailing address for Innsbrook Owners Association and Innsbrook Corporation has changed to 596 Aspen Way Dr., Innsbrook, MO 63390. Please be sure to update our address for any automatic or online payments you may have set up. The recycling industry has faced significant changes and its affects could result in a loss of service at Innsbrook. With your help in using recycling services correctly, we can continue to live in harmony with nature and keep services. For a PDF of acceptable recycling practices visit here. Printed copies also are available outside the Property Owner Information Office or the Main Gate. Thank you for doing your part for our community. Innsbrook property owners who are members of Silver Sneakers or Renew Active may be eligible to receive complimentary fitness classes. Check with your insurance company to see if you’re covered with either program and join us at the Fitness Center! Check it out for weekend's events, holiday hours, services directory, Fireworks Patrons and more! Building permits may now be obtained from Nikki Wobbe at the Innsbrook Innovative Designs Center in the lower level of the Real Estate Sales office. Download a permit application here. Contact Nikki at ext. 9173 or nikki.wobbe@innsbrook-resort.com. The Safe Drinking Water Acts require that water systems issue an annual consumer confidence report to customers. See our latest report here. 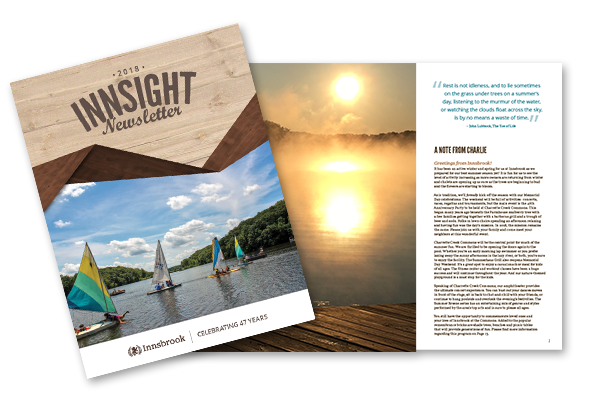 Explore the 2018 edition of Innsbrook's annual magazine, Innsight, featuring the latest updates on our community and property owner events for this year. Keep up-to-date with the latest news by signing up for Innsbrook emails: www.innsbrook-resort.com/about/email-sign-up. Just select "Yes" for the categories of information you want to receive updates about! Property owner email lists include: Village Views, events, emergency news and announcements; and Camp Innsbrook. You can also sign up for real estate, golf, weddings, dining and special events, vacations and meetings email updates! Need assistance? Call ext. 0. Prepare for a possible weather emergency by signing up with CodeRed to receive weather warnings on your home and/or cell phone. You can also elect to receive emails and text messages. CodeRed is an emergency alert service provided at no charge, though standard carrier fees do apply to text messages. When the National Weather Service issues a severe warning, only residents directly affected by the situation will be notified. Visit www.warrencountyema.com or call 636.456.3786 to register. We're Sticklers When it Comes to Stickers! No exceptions! Car stickers are for immediate family members only. All guests must go through the Main Gate to get a pass. There are security cameras at each gate and patrol will be sent to your property if you are seen driving your car through a gate and allowing a guest to follow without authorization. If these rules are violated, your stickers could be turned off. Ext. 9180. Try out one of the daily fitness classes offered at Charrette Creek Commons! Classes are offered in yoga, zumba, silver strength (for those over age 55) and more! See the complete fitness class schedule at www.innsbrook-resort.com/property-owners/commons/fitness-class-registration. Attend one class for $12, purchase a 10-class package for $50 or get a yearly unlimited package for $500! Ext. 9180. Make Sure You're Not Missing Our Important Emails! Make sure that you're not missing out on important emails concerning our Innsbrook community by adding news@innsbrook-resort.com and utilities@innsbrook-resort.com to your list of safe senders in your email client. Dive into reading at Innsbrook's very own lending library! The Open Book Library is located in the stables area, near the Farmhouse and it's always open! There is no checkout system, just choose some books that look like good reading, take them to your Innsbrook property and bring them back to the library when done! You can also donate items. Please first refer to the list at the library for items that cannot be accepted due to limited space. Online guest authorizations will now be done through the new Innsbrook Property Owner Portal. If this is your first visit to the portal, you will need to register to gain access to its features. Once registered, you’ll simply log in on future visits. You can access the portal at any time by going to http://bit.ly/POportal. Ext. 9180. The skies over Innsbrook have been deemed a "No Drone Zone" by Innsbrook leadership based on feedback and concerns from property owners. People come to Innsbrook for the ultimate private getaway and peacefulness. Though it may not be the pilot's intent, some property owners feel as if their private peace of paradise has been violated if a drone is suddenly whirring overhead. Please contact Innsbrook Security at ext. 9400 if you spot a drone over your property. Large items should not be placed in dumpsters, including things such as construction debris, lumber, appliances, furniture, etc. Innsbrook has fully operational video cameras at each of the trash and recycling depots. If you deposit anything besides household trash and recycling, you will be fined $250. Ext. 9163. Permits, Please! Which Projects Require Them? The best way to remember which construction, repair or improvement projects require a building permit is to keep in mind that any exterior work to your Innsbrook chalet or home requires one. Call ext. 9173 with questions. You can contribute to the fun and enjoyment of Charrette Creek Commons for future generations by making a commemorative donation for the purpose of personalized bricks, restful tables and benches or cooling shade trees! Find out more by calling ext. 9180 or by clicking here. In case of emergency, always dial 911 from either your land line or a cell phone. For everyone's safety, dogs must be on a leash at all times. Surveillance cameras are being installed at the trash and recycling depots. Signage clearly lists permissible and prohibited items. Fines for violations will be assessed. Golf carts and UTVs: Unfortunately, nothing can ruin a nice day out more than an accident. For the safety of our friends and family, do not allow underage or unlicensed drivers to operate your vehicle. For security-related questions, please call ext. 9400. Many of our property owners require proof that their property is monitored by security. If you require a letter of documentation, please contact Dan Dieckmann at ext. 9402 or email dan.dieckmann@innsbrook-resort.com. All boats must be registered with Innsbrook and have an Innsbrook boat sticker. These stickers assure that we can track down the rightful owners in the event that the boat floats away in high water or becomes untied. The same goes for recreational vehicles (golf carts and UTVs) in the event there is a breakdown or we find an abandoned vehicle. Download a sticker form at www.innsbrook-resort.com/property-owners/forms or call ext. 9180. If you are tree trimming or brush cutting on your property, please be sure to keep the trimmings on your lot or recycle them at the brush pile across from the Property Management Building. Stop by Charrette Creek Commons, Real Estate Sales Office or Aspen Center and check out our brand new hiking trail guides and Hiking Trail Pocket Guide and head out for a new IBK adventure! The maps are easy to understand, pleasant to look at and convenient to carry along. 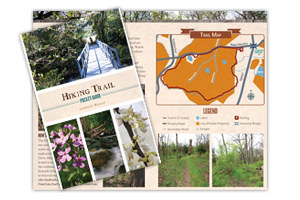 The Pocket Guide contains a smaller version of each map, along with birds, wildflowers, animal tracks and butterflies to look for on your hike. You can also download the maps online. Ext. 9180. You can now take Innsbrook with you wherever you go with our new app! Features of the app include: View Upcoming Events, See Photos and Get Community Updates, Make Reservations at the Clubhouse Bar & Grille, View Golf and Real Estate Information, Submit Customer Feedback ... and more! 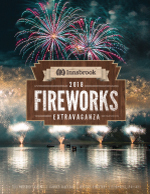 Contact the Innsbrook Owners Association at 636.928.3366 x9180 or information@innsbrook-resort.com.